Travis Reinking approached a Secret Service officer at the northeast pedestrian gate on Pennsylvania Avenue on July 7, 2017, and told the officer that he had to get into the White House to speak with the president. WASHINGTON — The man who allegedly shot and killed four people at a Waffle House in Nashville, Tennessee, on Sunday was arrested last year by the U.S. Secret Service for trespassing at the White House. According to the arrest report, the officer told Reinking how to obtain a tour, and told him to stop blocking the pedestrian entrance. Reinking again said he wanted to speak to the president, “and said he was a sovereign citizen and has a right to inspect the grounds,” wrote the arresting officer. Reinking was escorted out of the secure area, questioned and arrested for unlawful entry — a misdemeanor that is punishable by up to six months in prison and/or a $1,000 fine. 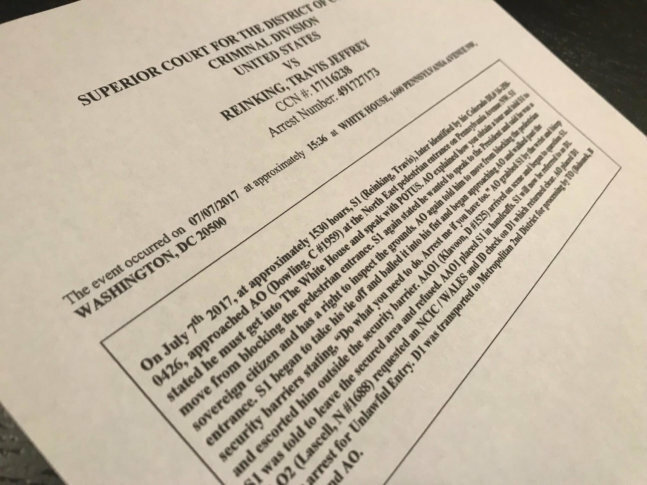 On July 26, 2017, Reinking entered into a deferred prosecution agreement with the U.S. Attorney’s Office for the District of Columbia. Reinking was later questioned by the FBI and Tazewell County, Illinois, authorities. His firearm authorization was revoked, and four weapons were seized. One of the weapons seized was the AR-15 used in the Waffle House shooting.